This week I’m looking at what is currently a red hot trend, namely Chinese investment in global property and real estate, which just happens to tie in very well with an extremely exciting talk I’m giving on the 17 April at the Blackbridge Cross Borders’ 1st Birthday Dinner, which looks to be a fantastic event attended by some high profile businessmen from China and other emerging markets. Few sectors have the comforting feel of investing in bricks and mortar like property does, whether its buying houses, land or investing in urban regeneration; real estate is a perennial investors’ favourite around the world. Over the last decade China’s go-global policy has seen wealthy individuals, property firms and insurance companies look abroad to build business empires and diversify their assets. But this is just the beginning, just an exploratory movement, before we witness the real thing. As Rob Hielscher, Managing Director of Jones Lang LaSalle’s International Capital Group put it: most mainstream Chinese companies have not started investing abroad yet, what we have witnessed so far is an entrepreneurial tip of the iceberg. There are many other firms set to follow these trendsetters, even if the Chinese economy continues growing at even half its current rate, will we still witness a mass outpouring of wealth from the country, much of which will flow into property portfolios. The figures are stark: Chinese investment in overseas real estate has grown spectacularly from USD 900 million in 2010 to USD 5.6 billion in 2012 and is predicted to grow 20% per annum over the next decade. While the number of Chinese companies that could potentially invest in overseas property are too many too count, it is possible to highlight some of the big hitters in order to give you an idea of the numbers. In just the first half of 2013 the top 10 property developers in China generated around USD 80 billion in revenues. Chinese insurers have around USD 1 trillion dollars in assets under management and the Chinese Sovereign Wealth Funds CIC and SAFE have around USD 1.2 trillion in assets under management. They only have to start diverting a fraction of these sums to make this ripple of Chinese investment into a wave. – To diversify their asset base and secure steady returns: overseas property is a useful hedge against the home market, which may offer stronger growth, but also more risk. In this respect the Chinese companies are no different from any others – they just have more cash right now. – Investment in real estate in order to develop a business: this could be hotel, retail or other venture requiring land. With confidence so high, Chinese companies are thinking big, they are attracted to long term, large scale projects which many other investors would shy away from. Many Chinese companies have expertise in large scale regeneration projects, London and Paris are half the size of mega cities like Shanghai and Chongqing, so scale is not an issue and these firms have been at the cutting edge of the biggest urbanisation process the world has ever seen. – Companies and businessmen are keen to make an impact abroad: demonstrating they are force to be reckoned with and capable of constructing large international business empires able to go toe to toe with US, Japanese and European giants. – Chinese citizens who are living abroad buying as a place to live: their children to live, or as a second home and even to gain foreign residency permits. – As a safe haven investment: putting your money in property as a way of protecting yourself and providing a rainy day fund. And why might they want to take funds out of China…? Recently Chinese investors have faced unprecedented uncertainty at home and the sense that anyone that was deemed too flashy, successful or who had upset the new Communist leadership were at the risk of losing their business and fortune. The Xi-Li leadership team have pursued a powerful anti-corruption campaign to hammer home the point that they are in charge, and naturally some unlucky businessmen have suffered as a result. This has led to a situation where many rich or even middle class Chinese citizens have looked to hedge their bets by investing in property abroad and developed markets are seen as a particularly safe bet. So where will the money go? The world’s press has focused on stories of Chinese investors pushing up prices in the world’s most globally interconnected cities, such as London, New York and Dubai. But as Chinese investors become more comfortable in investing abroad, they are looking beyond the obvious and looking at secondary markets, places such as Manchester, Scotland, the South of Spain as well as African cities. Some investors are students returning to where they studied abroad and feel they know the market well; while others are shrewd investors who have spotted under-priced markets through research and good connections. Naturally the biggest players are large companies looking to increase their global footprint and have teams researching and analysing where the best acquisitions are too be found. Don’t underestimate Chinese companies ambition and sense of scale, having just been part of the world’s biggest and fastest economic transformation, they are capable and willing to undertake huge projects and pay good money for the best buildings and land. Chinese investors are behind deals like the construction of an Asian business park in London’s East End, buying One Chase Manhattan Plaza or the purchase of the famous Edifico Espana in Madrid. Closer to home, South East Asia has also seen an influx of Chinese buyers, who often have connections with ethnic Chinese communities in places like Indonesia and Malaysia. Bright Ruby a conglomerate with interests in shipping, property and commodities controlled by the Du family recently purchased the Grand Park Orchard, an iconic Singapore hotel along with a retail development called Knightsbridge in a deal worth over USD 1.15 billion. With 308 rooms, this works out at USD 1.4 million per room, beating the previous record of USD 1.1 billion per room. Chinese companies are on a buying spree and money is (almost) no object, instead their strategy is often to carve out market share, establish themselves in a country and think about making profit later on. Meanwhile in London research published by Jones Lang laSalle at the end of 2013 showed that Chinese purchases rose from GBP 54 million in 2010 to GBP 1 billion in 2013, a rise of 1500%. Significant Chinese backed developments include the Ram Brewery in Wandsworth and Dalian Wanda’s play in the lucrative Nine Elms riverside venture, as well as the plan to turn the Royal Albert Dock into an Asian business port. Add to this the large of number of private purchases in the UK’s capital famously frothy property market, attractive thanks to historically high returns and easy access for foreigners. 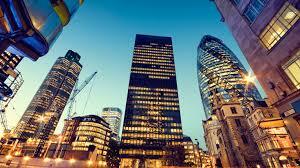 All in all London is a sweet spot for Chinese investors. We know Chinese companies have been making a major impact in Africa for a while now, but they have been more renowned for their expertise in mining and oil extraction. Now a visionary plan by the Zendai Group to turn Modderfontien, a dull Johannesburg suburb into a new financial district with 10 hotels, 10 shopping centres and an African theme park – all close to Sandton the current business hub in Jo’Burg. The plan would represent one of the largest deals between South Africa and Chinese companies. As well as the boost to the local economy, the centre would also likely to act as the HQ for (the many) Chinese companies active in Southern Africa. Built on Sand? What are the pitfalls of Chinese investment going to be? Like any sector property has its pitfalls and dangers and is particularly prone to speculation and bubbles, which can end badly (see Florida, Spain and parts of Eastern Europe in recent years for evidence). Foreign property is not immune from anti-corruption drives emanating from Beijing. Bo Xilai, the ex-Mayor of Chongqing a massively high profile corruption victim saw his villa in the South of France repossessed by the Chinese state. Because real estate is a good way to spend “black” or “grey” money many Chinese buyers have been paying cash, literally turning up with a suitcase of notes, which is tempting for many sellers, but in time could leave them open to accusations and criminal proceedings. Chinese companies and individuals also run the risk of a nationalistic backlash, as host countries fear a foreign dominance of their economy and the effect on increasing property values, which can price people out of the market. What does this mean for me? How should my company act? What opportunities are there? Partnering with Chinese firms in major commercial /residential deals. Companies from China might have tonnes of cash and expertise of operating in their home market, but they still need help in unfamiliar countries and cities. Understand the wants, needs, likes and dislikes of Chinese buyers, talk to people they work with and the investors themselves. This could mean understanding everything from what cities or regions are likely to be favourable, to knowing the number 4 is unlucky and the number 8 is lucky. Something to bear in mind when handing out door numbers. All this research will gain you a competitive advantage over other businesses. The most straightforward advice of all, sell your property or land to Chinese buyers, this might be easy, or it might be worth advertising in Chinese language press (at home or in China), or better yet networking with Chinese investors at home or abroad, otherwise they might never find out about your prime piece of real estate. Building bonds with potential Chinese buyers/partners should be thought of as a long term project, as they will often want to get to know you well before committing to a deal. Providing advisory or ancillary services: While Chinese buyers are becoming more cosmopolitan and knowledgeable about the rest of the world, they still (like any outsider) need assistance and local knowledge to help them navigate the often murky waters of real estate markets around the world. Your experience, understanding and connections in a given locale, could be a fantastic match to cash rich ambitious investors. In addition property needs services, such cleaning, security, maintenance, furniture and so on, all of which provides a whole host of opportunities for those ready and prepared for them.